This site is designed to help you review and master key concepts, facts, and terminology from the textbook through interactive exercises and learning tools. Use the Menu above to navigate the site by chapter and resource type. Instructors Please Note: In order for your students to be able to take the Online Quizzes, you must first register as an instructor. You can request instructor access via your Sinauer Associates account representative. The animations and videos require a browser capable of playing MP4 video (such as an up-to-date version of Chrome, Firefox, or Internet Explorer 9 or newer). For technical support with this site, please contact us at support@sinauer.com. 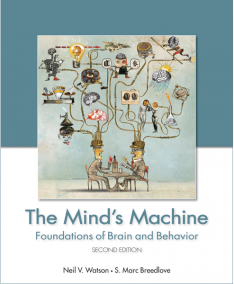 Please be sure to include the name of this site (Mind's Machine 2e Companion Website) in your message. Click on the Menu to open navigation. Click on items in the left nav to change the page you are currently on.